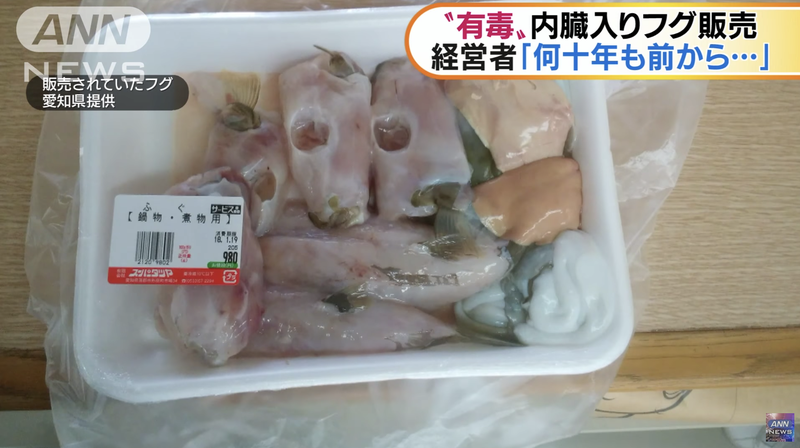 The Japanese city of Gamagori in the Aichi Prefecture went into full alert mode earlier today after a batch of potentially deadly fugu fish was sold to customers at a local supermarket. As AFP reports, five packages of blowfish, also known as puffer fish, fugu fish, and globefish, were sold with their livers still intact. Blowfish livers contain a deadly toxin that can cause paralysis and asphyxiation, and there is no known antidote. Officials in Gamagori didn’t hold back once the situation became clear, activating the city’s emergency broadcast system and alerting residents from loudspeakers installed across the city. Blowfish is a pricey Japanese delicacy that’s typically served in sashimi or hot pot format. A poison called tetrodotoxin can be found in some of the fish’s organs, including the liver. Several people in Japan die each year from incorrectly prepared blowfish. First stage: Numbness and sensation of prickling and tingling (paresthesia) of the lips and tongue, followed by facial and extremity paresthesias and numbness, headache, sensations of lightness or floating, profuse sweating (diaphoresis), dizziness, salivation (ptyalism), nausea, vomiting (emesis), diarrhea, abdominal (epigastric) pain, difficulty moving (motor dysfunction), weakness (malaise), and speech difficulties. Second stage: Increasing paralysis, first in the extremities, then in the rest of the body, and finally in the respiratory muscles; difficulty breathing or shortness of breath (dyspnea); abnormal heart rhythms (cardiac dysrhythmias or arrhythmia); abnormally low blood pressure (hypotension); fixed and dilated pupils (mydriasis); coma; seizures; respiratory arrest; and death. Sounds dreadful, but patients who survive the first 24 hours typically live, and without any long-term side effects. In the U.S., the FDA regulates all locally sourced blowfish through the Seafood Hazard Analysis and Critical Control Points regulation. And under an act established in 1988, only prepared puffer fish from Japan can be imported into the U.S.; all other imported puffer fish products are prohibited. Back in 2014, an American man and a woman got sick (not fatally) after purchasing dried puffer fish in New York City, highlighting the difficulty of controlling this deadly fish.